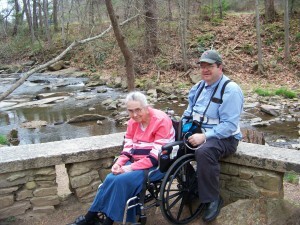 For the past few years a regular minivan has been sufficient to travel, However, with declining health for both Daniel Friend and his mother in law the time has come that a wheelchair accessible minivan is urgently needed. Miss Mitchell is getting weaker and more difficult to get transferred from the wheelchair into the van seat. She needs to be transported without having to get out of her wheelchair. Mr. Friend also needs the use of an electric wheelchair in large stores or in the event of having to walk long distances. His disability is expected to worsen with time. All funds raised will go toward the purchase of wheelchair accessible minivan with a side ramp.